Building carbon tubes so small that they make red blood cells look like blimps provides a unique set of challenges, but these difficulties may be outweighed by the innovative properties these structures offer. Researchers at Jinhua College of Profession and Technology, Zhejiang Normal University, and Pacific Northwest National Laboratory reviewed studies of supercritical fluids, which exhibit the properties of gas and a liquid at the same time, and carbon nanotubes. 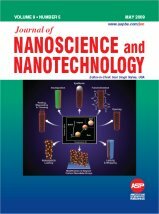 This invited review was published in the May 2009 issue of the Journal of Nanoscience and Nanotechnology. Artwork from the review graced the cover. Supercritical fluids, or SCFs, have several key roles in nanotube synthesis and processing. Supercritical water, carbon dioxide, and other fluids are used to synthesize, modify, functionalize, and dry the carbon structures. In addition, SCFs are used to attach other chemicals to the carbon nanotubes to form the nanocomposites. One typical example is using SCF to deposit platinum nanoparticles and other catalysts on carbon nanotube supports for fuel cell applications. Benefits: Because of their duality as liquids and gases, SCFs offer several benefits to carbon nanotube synthesis and processing. For example, turning nanotubes into sensors, fuel cells, batteries, and other devices requires attaching molecules or catalysts to the pristine carbon structures. While the carbon nanotubes do not mix well in most media, they are dispersible in supercritical water or carbon dioxide, which also allows researchers to easily adjust how many molecules or catalysts are attached to the nanotubes. Another benefit is that SCFs are not inhibited by the small size and high degree of complexity of nanotubes. This makes SCFs viable for fabricating and processing structures when traditional methods fail. For example, researchers use SCF processes to form nanoparticles or nanowires inside the tiny nanotubes. Also, some SCFs, such as supercritical carbon dioxide are nontoxic, inexpensive, and environmentally friendly. Future: Research persists as to the best methods to produce carbon nanotubes and related functional materials. Issues regarding operating conditions, such as temperature and pressure, will continue as researchers strive to find efficient ways to functionalize and modify the interior and exterior of carbon nanotubes. 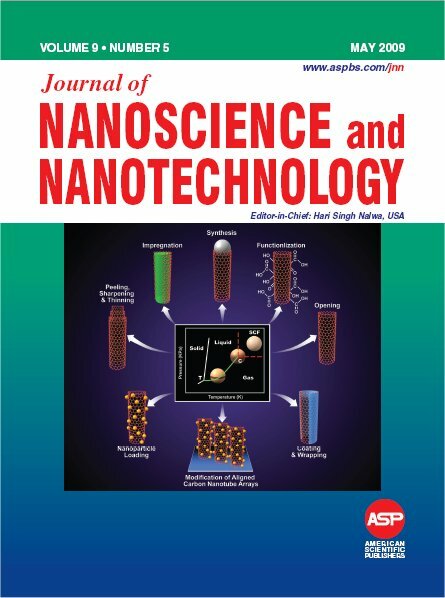 Acknowledgments: Dr. Sufang Ye, Jinhua College of Profession and Technology; Dr. Fengmin Wu, Zhejiang Normal University; and Dr. Xiang Ye and Dr. Yuehe Lin of PNNL wrote the review article. This work was supported by the Laboratory Directed Research and Development Program at PNNL. In addition, Dr. Ye received funds from a PNNL fellowship program to work at PNNL. Reference: Ye S, F Wu, XR Ye, and Y Lin. 2009. "Supercritical Fluid Assisted Synthesis and Processing of Carbon Nanotubes." Journal of Nanoscience and Nanotechnology 9(5):2781-2794. Additional references related to this work may be found on Dr. Yuehe Lin's homepage.